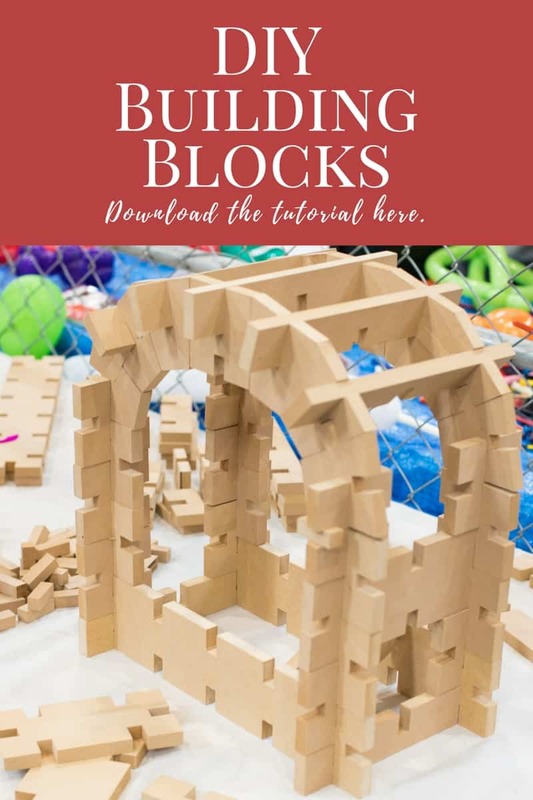 These DIY interlocking building bricks are incredibly versatile and surprisingly easy to make. Created by Bill Atkinson; instructions shared with permission. The pieces lock together so well that you can pick up a finished product and move it from one spot to another. Bill was handing out instructions on how to make these at this year’s Maker Faire, and he graciously offered a digital copy of the instructions for you to download here. These blocks are brilliantly simple to make. I am on the hunt for a table saw and mitre saw so that we can make our own set. If there’s a brand you recommend, let me know! Bill used medium density fiberboard for his blocks. It’s easy to work with, the thickness is very consistent (important for interlocking toy blocks), and you don’t have to sand anything! 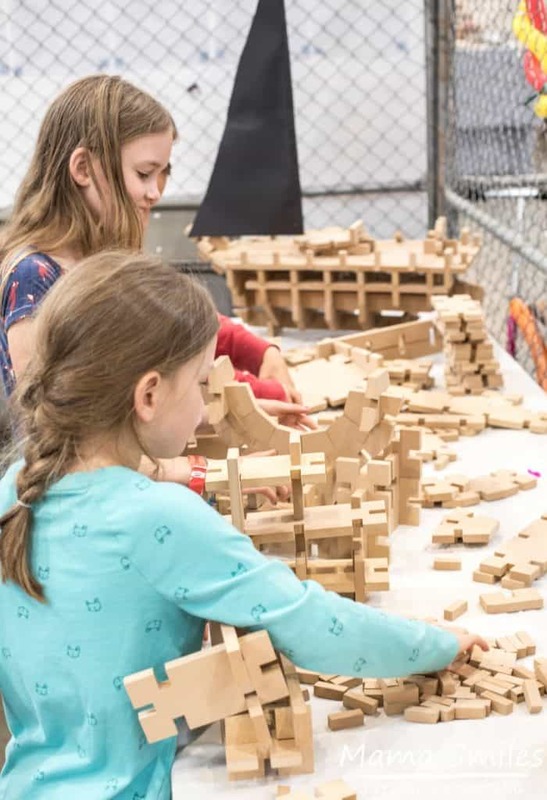 I knew my readers would love these DIY interlocking blocks as soon as I saw them at Maker Faire. 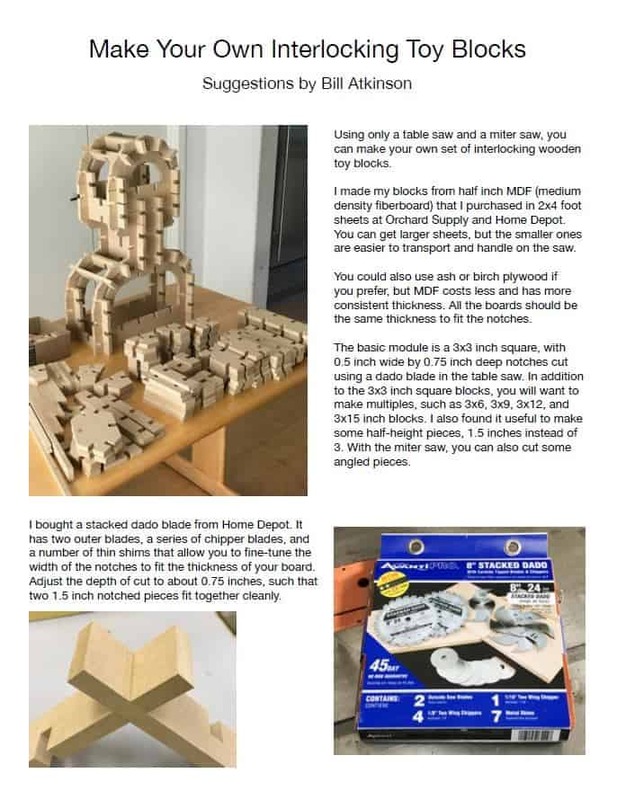 Bill Atkinson kindly offered the instructions on how to make your own interlocking toy blocks as a PDF download here on my blog. If you make a set, please let us know! Click on the image below to download the PDF. This is awesome. My kids would have loved these when they were smaller!! We just inherited my FIL’s table saw……. I showed my husband and Peter because Peter is going to be “making stuff” and they were both quite impressed.